Stories have power. They move people in a way that facts and figures can’t. 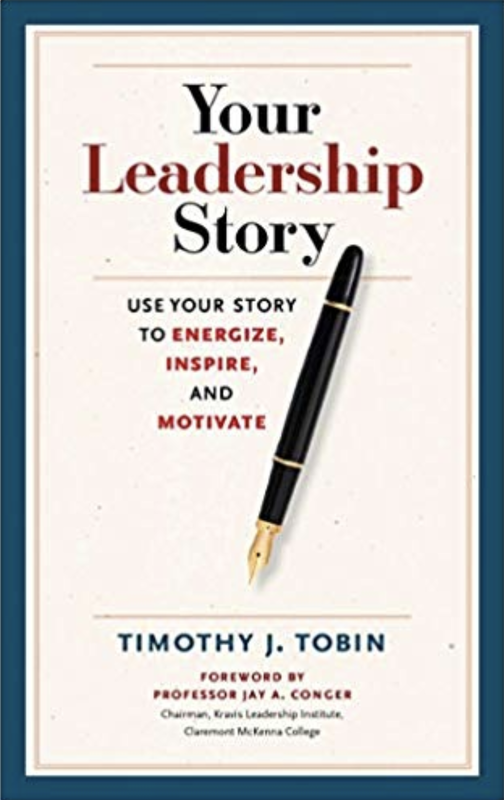 Using story as both a metaphor and a process for self-development, Tim Tobin offers activities and questions that help you better understand your own leadership and how others perceive it. What is the plot of your leadership story—your overall goals and purpose? Who are the main characters and what roles do they play? How have the settings of your story influenced it? What are the conflicts that you need to resolve to move toward the ending you intend? But you have to share your story to make it an effective leadership tool. Tobin gives detailed advice on framing your message, finding ways to communicate it, and understanding the role others play in furthering that message. Sign up with your email address to receive news and updates from Tobin Leadership.